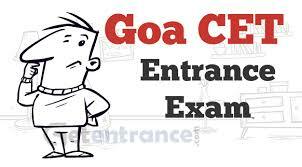 Directorate of Technical Education (DTE), Goa has published the exam dates for Goa Common Entrance Test (GCET 2017), which will be conducted in May 2017. The Goa-CET for Physics and Chemistry will be held on Tuesday, May 09, 2017 and for Mathematics and Biology will be held on Wednesday, May 10, 2017. Aspirants should have cleared class 12 from a recognised university or institute. Goa-CET is conducted for taking admission to Bachelor of Engineering (B.E), Bachelor of Homoeopathic Medicine and Surgery (BHMS), Bachelor of Sciences in Nursing (B.Sc Nursing), Allied Health Sciences and Bachelor of Pharmacy (B.Pharm) programmes. Aspirants can visit the official website.